As a New Zealand retail brand icon, Mitre 10 is continuing to grow nationally by improving existing stores and constructing new stores in key strategic growth areas of New Zealand. This strategy has created unique opportunities for business professionals to capitalise on by joining the Mitre 10 co-operative and operating their own business supported by proven processes and systems. Experience in retail and/or trade, preferably in the home improvement industry. The motivation to succeed in a competitive environment resulting in financial independence and security. Ability to manage, lead and motivate staff to provide superior customer service levels. A sound financial position with assets or capital base. Computer literacy and process orientation. Negotiation and communication skills. The opportunity to own and operate your own business. Potential to be financially secure and independent. Computerised systems and procedures. Group purchasing. A New Zealand icon brand and image. Proven national marketing programmes. A national support centre facility. 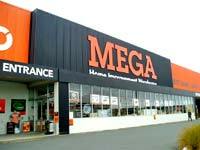 Opportunities in the Mitre 10 MEGA tier may also include private investments from non-operators.